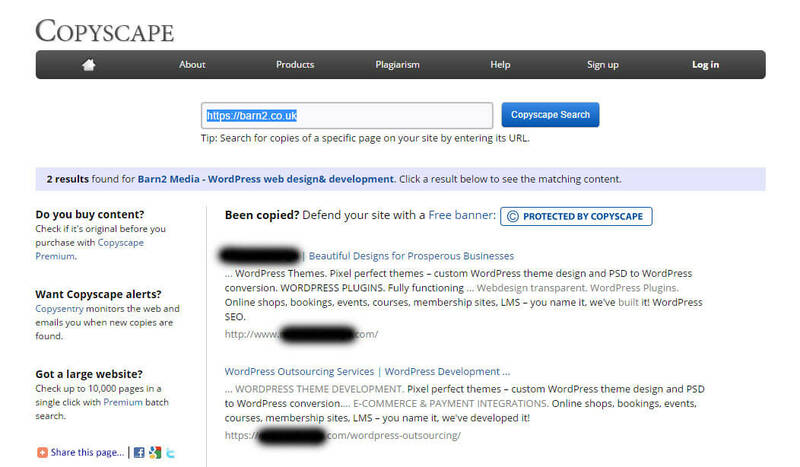 I was recently shocked to find 2 websites that had actually plagiarised our own site! In this post, I’ll share how I discovered this duplicate content and took action to have it removed. First, some background into why I was writing about website plagiarism in the first place. 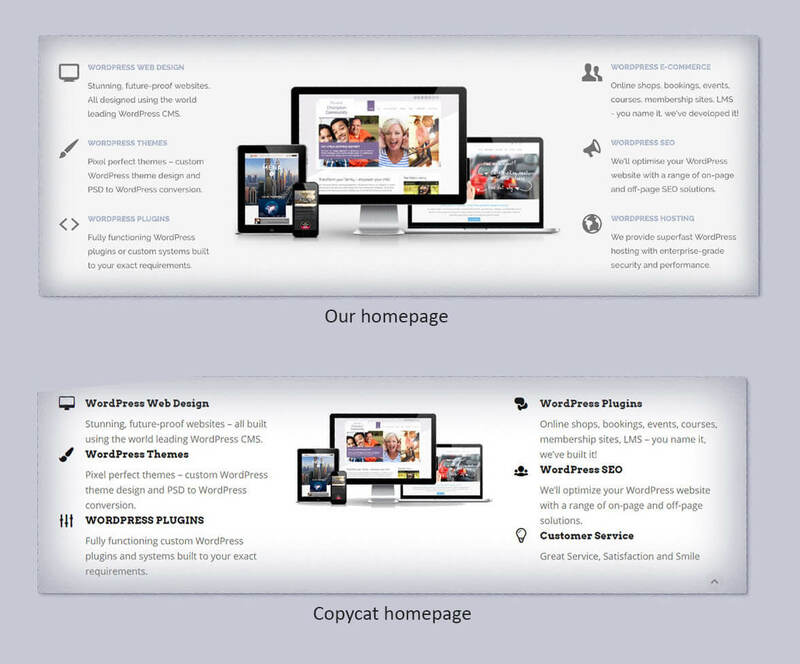 It’s very easy for people to copy the text on your website and use it on their own sites. This can damage your search engine position and make your own website seem less trustworthy. Fortunately there are free services that will tell you if anyone has copied your content. Is duplicate content or website plagiarism a problem? A lot of people think that duplicate content – which is when the same text appears on multiple websites across the internet – is a huge issue and will be disastrous for their site. I would say that it can be a problem, but isn’t the end of the world. A lot of people think that if another website copies their content then the search engines will penalise all the sites with the duplicate content. It’s not really that bad. In reality, if a search engine discovers duplicate content then they will look at which content is the most important and index that version of it, while ignoring all the others. This means that if someone copies your text and posts it on their own website, there’s a risk that theirs will be indexed instead of yours. This is actually quite unlikely to happen because the search engine algorithms are very sophisticated and know what signs to look for. They’ll look at things like when each version was published to decide which is the definitive content that they should index. So if you publish some text on your website and someone else copies it a few months later, Google will know that yours came first. Great! If a potential customer discovers duplicate content on your website AND on another site then they might think your site is less trustworthy. In reality they’re unlikely to notice, but this could potentially happen – particularly if someone copies something really significant like the text on your homepage. So duplicate content isn’t the end of the world, but it’s still worth bearing in mind. However there are free tools that help you to find duplicate content, whether you’re worried about plagiarism on your website or other documents. If you’re worried, then it doesn’t hurt to use these. If you want to use a plagiarism checker for free, then Eduzaurus is one of the best online options. Simply paste the title and text of the content that you wish to check for plagiarism. You can paste as much text as you like into the box. Eduzaurus will search the web for duplicate content and show you the results, including a percentage indicator showing how similar the copies are. And if you find duplicate content that you can’t get removed, then you can hire Eduzaurus to rewrite your copy for you and ensure that it’s completely unique. 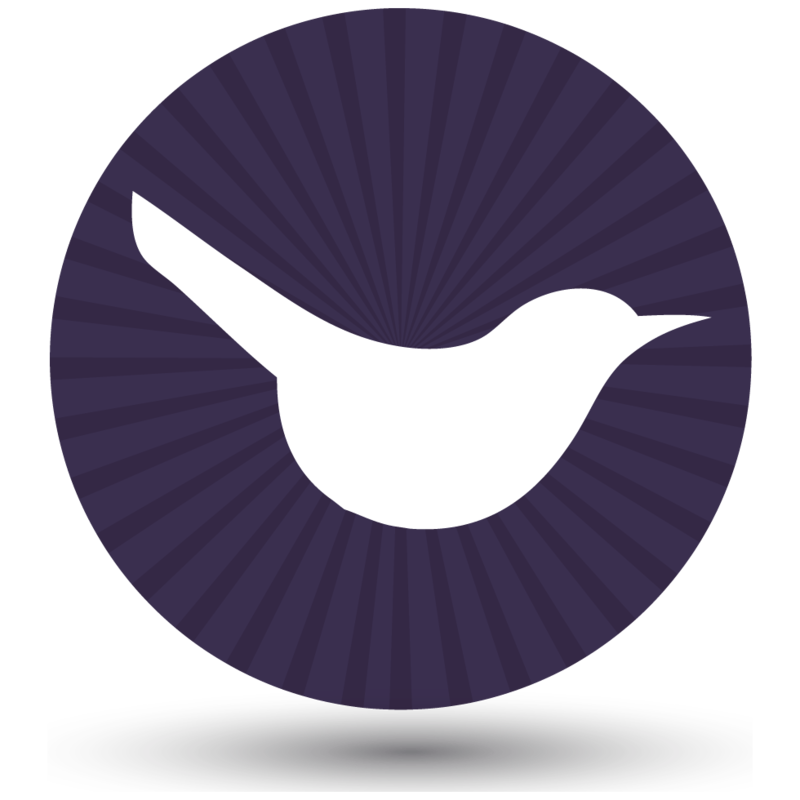 Edubirdie check plagiarism for free carefully and quickly. It scans documents for any cases of plagiarism. Documents can be uploaded or pasted into the checker. It then shows the uniqueness of the text as a whole and breaks it down in a tab below with the uniqueness of each part of the content and its relation to other online articles, books, and journals. There is no limit to how many times you can use this checker, and it’s free. It searches billions of web pages and provides very accurate results for a free model. It has the added advantage of providing links to the sources, so they can be easily accessed and reviewed if changes need to be made the document. The only downside is that if any changes are made in the checker they would need to be manually copied and pasted to a Word document, which is a little time consuming if it’s a big document. Essay On Time provides an online checker that reviews, detects duplicate content or matches to any other texts located on the web and makes suggestions to improve. The process goes really fast – you just paste the text you would like to review, press the “Check for Plagiarism” button and wait for a minute. The tool scans your content and compares it to other websites. Then you get a comprehensible and clear report, where the copied parts are marked with color. This app provides you with a percentage rate of plagiarism. Also, it lists the links to the websites and documents that contain the same elements as yours. The best thing about this tool is that you can check for plagiarism online free. It works fast and doesn’t require registration. The number of checking sessions is unlimited, so you can freely check the same text after editing it or insert another one if needed. EssayOnTime checker is popular among college and high school students since they need to make sure that they hand unique papers to their professors and tutors. However, it works for any kind of written content, therefore website-owners, copywriters, journalists, and bloggers will also find it extremely useful. Copyscape lets you search the web for duplicate copies of the text on your website. It’s very easy to use – just paste the address of your website into the box and Copyscape will look for other sites with text that matches your site. It lists all the websites with matching text and tells you what percentage of the page matches. When you click through to view a result in more detail, it even includes a screenshot of the offending page which highlights the sections that match your site. Copyscape also have a premium service which automatically scans all your pages on a regular basis so you don’t have to remember. Personally, I set a reminder to manually check our main pages every 3 months and don’t bother with the paid version. I entered the address of our own website – barn2.co.uk – into Copyscape to get some screenshots for my lecture. Lo and behold, the results showed that 2 other websites had significantly plagiarised our homepage! When I ran a search on our Services page, I discovered that one of these sites had also copied that page. 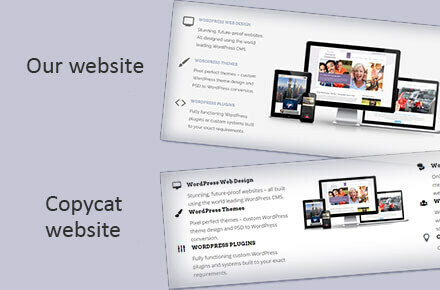 Although Copyscape only detects copied text, these websites had also copied our images. One had even copied a montage of websites that we have designed, implying that they had designed them. Somehow, this feels even more dishonest than copying our text as it affects our clients too! I emailed the offending companies, asking them to reword their websites. They were all were very helpful and changed the wording within 2 days. It turned out that the owners of these websites didn’t know about the plagiarism. The text had been written by either a freelance copywriter or a junior member of their team. Or so they said. Actually I believe them (probably) as it’s easy to imagine that some unscrupulous copywriters would copy and paste text from other websites instead of doing it properly. They obviously didn’t think they would get caught. Ha ha! For the definitive guide about how to get plagiarised content removed from the web, I recommend reading the Plagiarism section of the Copyscape site. In case it’s helpful, I have included the wording of the email that I sent to these companies in the ‘Resources’ for this lecture. I’m not a lawyer and this is something that I wrote for our own purposes, but it might be a good starting point for you. I run the WordPress web agency Barn2 Media. Your website has come up in Copyscape as containing duplicate content that was illegally copied from our own website [your-website-address]. I checked and saw that a lot of the wording on your website has been taken directly from our site. Please could you reword your website to use unique content, as at the moment you are damaging your own SEO and ours. Your search engine ranking will probably increase after you have reworded it because Google will see that your content is unique. Google can tell that our content was added before yours, so they will be able to penalise you for this. If you don’t reword the content within 1 week then I will report you for copyright infringement and I will also publicly name and shame your company on our blog. As you can see, I was successful in getting the plagiarised content removed from the web, making our own content unique again. I hope this helps you to do the same for your website. Our article on WordPress maintenance tips summarises all the regular tasks like this that are needed to keep your website running smoothly. If you’d like our UK WordPress experts to take care of this sort of thing for you, check out our WordPress maintenance plans. We can do regular plagiarism checks as part of an ongoing support service.